Thanks to its strategic position, Piazza Pitti is an excellent starting point for visiting the Oltrarno and Santo Spirito districts , rich in craftsman workshops and trattorias and restaurants where to taste the dishes of the traditional Tuscan cuisine, but also for visiting the many monuments on the opposite bank of the Arno river. 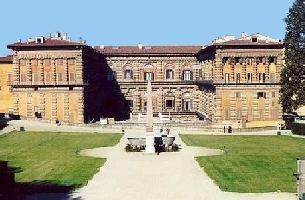 If you are planning to spend your holidays in Florence, visit our website. Our agency specialised in renting luxury apartments in Florence has selected a series of luxury apartments in Piazza Pitti and in the neighbourhood of Florence major touristic sites. For your next holidays in Florence, rent one of the luxury apartments close to Piazza Pitti we have selected for you in this page and in our website. 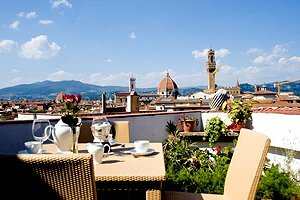 Luxury holiday penthouse flat in Florence historical centre, close to Ponte Vecchio and Piazza Pitti. 2/3 sleeping accommodations, air conditioning, Internet connection, spectacular views of Florence.